The Ms. Massachusetts Pageant is administered by the Ms Senior Mass Pageant organization under the direction of Lorraine Gorham and her dedicated team, Jessie Rivers, Connie Lind, Joanne Impoco, and Ellie Walsh. Many thanks to Ms. Gorham for her years of hard work and dedication to Ms. Massachusetts! The 2019 Ms Massachusetts Senior America Pageant will be held on July 14, 2019 at Holyoke High School, 500 Beech Street, in Holyoke, Mass. and will feature special guest Ms Senior America 2018 Gayle Novack. To learn more, contact lorraines352@aol.com, and make your plans to be inspired today! CONGRATULATIONS to MARCIA MORRISON, Ms Massachusetts Senior America 2018, and Special Thanks to State Administrator Lorraine Gorham for a wonderful State Queen! After graduating from high school in Frankfurt, Germany, Marcia earned a B.A. degree in English at Towson State University in Maryland, followed by a graduate degree in Education at Boston University and two graduate degrees in Theatre from universities in California and Indiana. A former Dean of Arts and Humanities at Holyoke Community College, Marcia is also the recipient of the American College Theatre Festival Award for directing, the Los Angeles Dramalogue Award, and the Chancellor�s Award from the New York State University System. 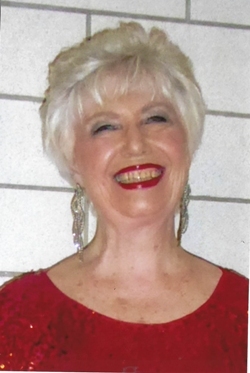 She sings with the Valley Jazz Voices and is actively involved in the arts community in Easthampton, now planning June�s Cultural Chaos event for the Cottage Street Cultural District. She appeared and won on television�s $10,000 Pyramid Game Show where her partners were Tony Randall and Anne Meara. After her sister�s passing of cancer, Marcia decided to volunteer at the Cancer Connection Thrift Shop where she now works part time. Marcia enjoys bicycling, telling stories, exploring new cultures, seeing theatre, watching horror movies, and playing trivia.